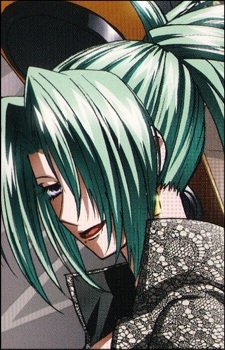 Echidna is an ex-actress whose Tao Power, "Gate", consists of literally creating gates from one area to another. People can pass through, or she can stick a body part through to attack from an unexpected angle. She was once a famous actress who starred in many major films and won numerous awards. She blindly follows Creed in his acts, not minding his sometimes "psychopath" attitude. Same as in the manga, except for the role she plays in the final Eden part. When Mason is about to deliver a fatal blow to Creed, she suddenly appears and takes the blow for him. That is when Creed realizes how much she loves him. The show ends whith her and Creed living on a small country side together.